Gaming is meant to be an immerse experience, and that goes double for simulation games, as they’re meant to give you a taste of what’s happening in some of your favorite sports and events. 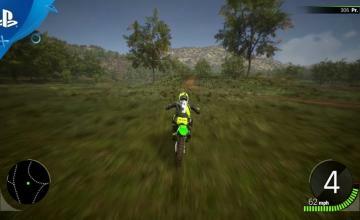 A new title is here to give you that feeling, SMonster Energy Supercross – The Official Videogame. But, if you want to get that feeling of off-road racing, then you should enter our official giveaway! We’re giving away 25 keys to Monster Energy Supercross – The Official Videogame between the Xbox One, PS4, PC, and Nintendo Switch versions of the title. So, what makes Supercross: The Official Game so special? Well, the game faithfully recreates every inch of every track that’s present. All photographed from the real world and brought into the game world. Add to that, there will be crowds to help add to the atmosphere, making sure you feel the energy as you race for victory and glory. The Unreal Engine brings all the details of the tracks, racers, special effects and more to life. This title is a visual spectacle. However, if you feel like making your own tracks is more fun, then do it! Supercross: The Official Game offers you a Track Editor to make your own courses, and it’s very easy to do. Then, once you have them made, you can share them online. If you think your rider, biker, and team are left out of the customizable section, you’re wrong. 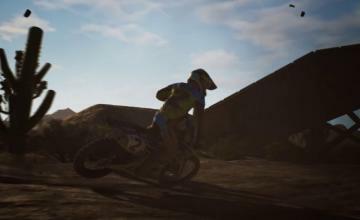 You’ll be able to create your rider, biker, team, and style to ensure that you stand out on the track in the way you want, and have the team you want to help guide you to victory. No detail has been spared here. 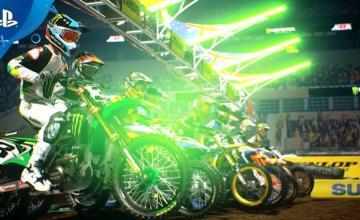 To recap, we’re offering 25 digital keys for Monster Energy Supercross – The Official Videogame. A note, these are only usable in the US, please be aware of that before you enter. Monster Energy Supercross – The Official Videogame is here now. So, if you’re ready, ENTER NOW! 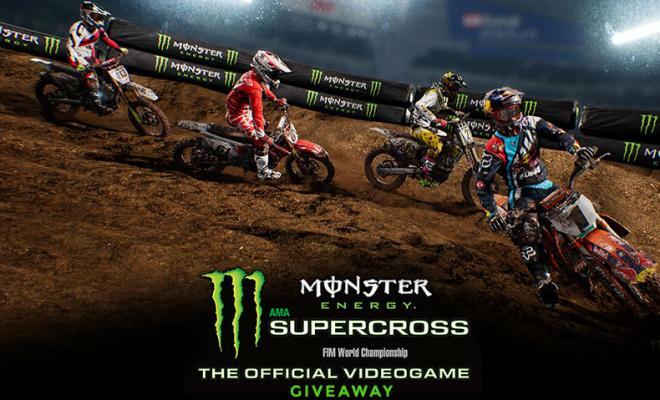 Next Story → Monster Energy Supercross – The Official Game Giveaway! Enter to Win!